I visited Nancy Worthington and her longtime partner Judith Fein, in their Palm Desert home/studio where they have lived since 2013. Their wonderful sprawling desert abode is filled with her art, mostly 3-dimensional mixed-media pieces with some less cumbersome works on the walls. 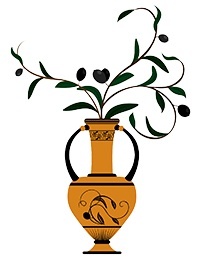 Worthington has also made videos, collage, assemblage, a wine label and more. However it is these 3-dimensional interactive works that are the hallmark of her oeuvre. As the first female sculpture student to receive an MFA from Penn State in 1972 Nancy Worthington was and still is an artist who challenges the status quo. She comes from a rather conservative upbringing, but one would never know that based on the artwork she has produced over the years. Her sculpture is completely postmodern; its roots lie in assemblage and protest art of the 1960s. When discussing her earliest influences, Worthington shares an encounter with Picasso’s Guernica when she was still in high school and it still hung at MOMA, New York. From then on, this artist felt that her art could have an important social message as well. And so she went on to express her objections, opinions, and outrage through her art. She challenges our notions of what sculpture should be made of and uses toys, gadgets, and found objects to create sculptures that seem more like they belong in an arcade than a gallery or museum. This art intentionally has serious undertones with comic overtones. 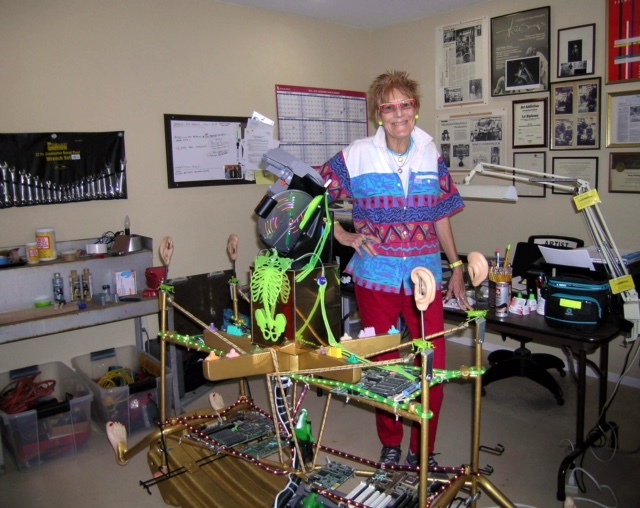 Toys, which Worthington sees as reflections of our society are an important component in her work. These combined with commonplace objects reworked into magical assemblages become powerful signifiers of her messages. Social issues, voting rights, pay equality, celebrity, pop culture, and feminist values are all fodder for her art practice. Her controversial subject matter has landed her in the spotlight on numerous occasions as her work has been censored from exhibitions and hence made the news on more than one occasion. For Worthington it is extremely important that her viewers become involved in the artworks and so in many works she draws them in physically. I mean that in the literal sense, as many of these sculptures invite the viewer to push buttons and touch the art. Then they can make things happens by controlling the sounds, the lights and more. This engagement enhances the experience and brings the viewer closer to the issues or ideas being addressed in the art. For example, during the Bush (George W.) administration, her frustrations resulted in “The George Dubya Series,” which includes The Road to the White House with a motion-sensitive Texan steer that is incorporated into a treadmill. This satirical sculpture alludes to the road Bush took to get to the White House. As the viewer-participant approaches the sculpture, the steer will moo loudly and randomly as one moves around the piece. There are used car dealership flags in a central collage juxtaposed against the American flags that fly at the top of the sculpture alluding to the used car salesman like approach to winning the election. 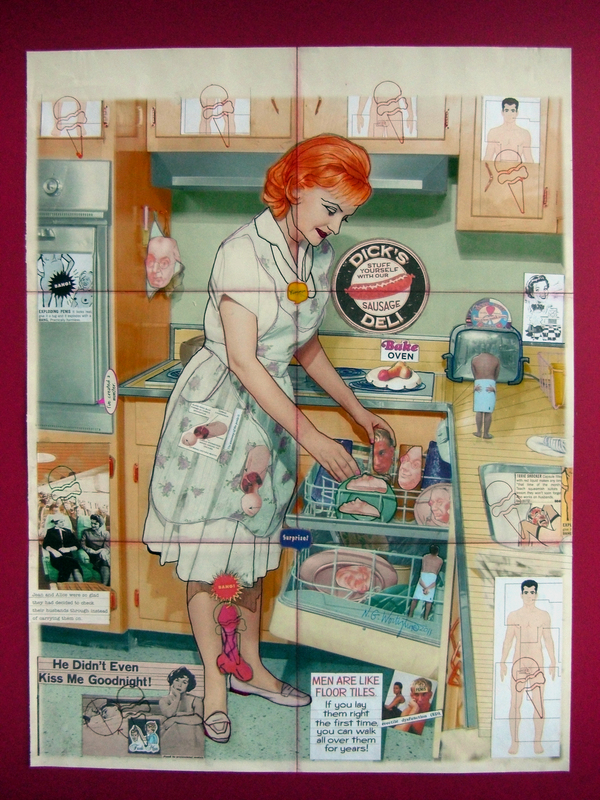 In a drawing/collage, Worthington’s feminist roar takes on the concept of the male gaze in Men Are Like Floor Tiles. 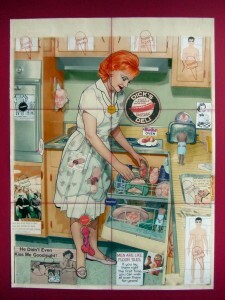 Here she appropriates the image of a 1950s American housewife, however this one wears an apron adorned with penises. This housewife loads her “dirty” dishes embellished with pictures of dirty old men, and one young handsome man that she fondly gazes upon. The kitchen is decorated with pin-up trophies of men with stylized ice cream cones as stand-in phallic symbols on their naked bodies. One may see humor here, but once again there serious undertones. Worthington’s art is influenced not only by world events but also by her immediate environment. Since her move to the desert from Northern California in 2013, there has been a shift of focus. The bright and pervasive sunlight of the desert is having a strong impact. She is now photographing rocks, formations and desert landscapes and transforming them into mixed-media collages, which will become part of larger assemblage/constructions. Worthington’s unique and controversial visual language has led to international attention and patronage. She represented the United States in the 18th International Bienal in Sao Paulo, Brazil. Her works are in the permanent collections of the National Museum of Women in the Arts in Washington, D.C., the U.S. State Department Art in Embassies Program, The San Jose Museum of Art, The Mills College Art Museum, among others, and private collections worldwide; with artworks exhibited in the United States, Europe, South America, China, India and Japan. To quote the artist: “It has been said that civilizations are recorded and remembered by their wars and their art. The arts act as checks and balances against the more destructive side of civilization. My sense of hope for the future compels me to facilitate change with my art for a better, more humane world. Nancy Worthington is an artist whose work is not to be ignored; her vision is sharp, witty, compassionate and sincere.